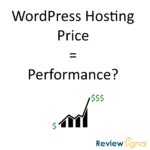 This post is based off WordPress Hosting Performance Benchmarks (2014). Pantheon is one of the new comers into the managed WordPress space. They came over from the Drupal world where they focused on developers and enterprise. 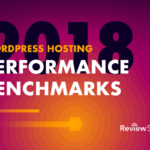 They've taken their developer tools and brought them to the WordPress space and made quite a splash leaping into our top tier of managed WordPress hosting companies. All testing was done on the Professional plan (shared) and using the WordPress stack. The plan had 20GB of space and allowed 100,000 visitors per month. The price was $100/month. Pantheon had a whopping zero errors and scaled without issue. 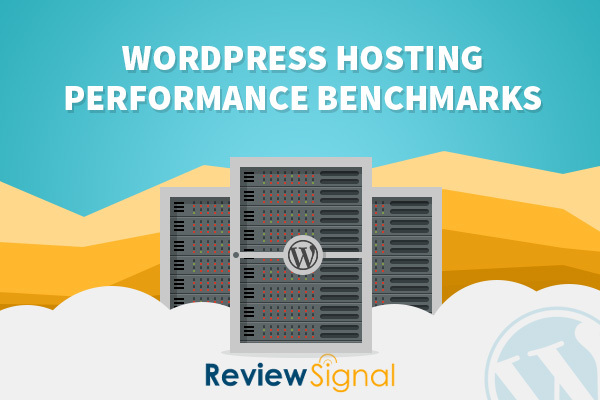 LoadStorm independently analyzed my testing and named Pantheon as performing the best of any WordPress company tested. The second load test that was run on Pantheon was Blitz. Blitz was used to test cached performance. It simply requested the home page from 1-2000 times per second. 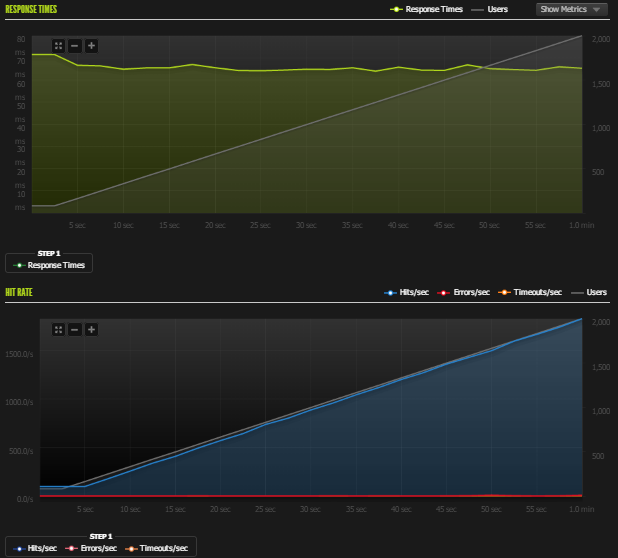 Two third-party uptime monitoring services (StatusCake and UptimeRobot) tracked the test site for a month. The results for Pantheon in both cases was perfect uptime. There's nothing more to say than that. “WebPagetest is an open source project that is primarily being developed and supported by Google as part of our efforts to make the web faster.” WebPageTest grades performance and allows you to run tests from multiple locations simulating real users. Pantheon was tested from Dulles, VA, Miami, FL, Denver, CO, and Los Angeles, CA. There was absolutely no issues with their WebPageTest results, it loaded very quickly with a great average speed of under one second. Pantheon specialized in Drupal hosting, so I was wondering how well it would translate to WordPress. The short answer is, it converted over really well. They had a flawless run on the LoadStorm test - zero errors and not even any spikes in response time over 30 minutes. Pantheon is one of the more expensive options on the market, but they make a very strong case for it. Perfect uptime and near flawless load testing sent them easily into the top tier. 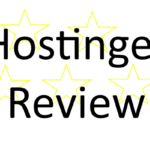 This entry was posted in Web Hosting and tagged blitz, loadstorm, pantheon, performance, reviews, wordpress on January 20, 2015 by Kevin Ohashi. In short stay away from Pantheon. 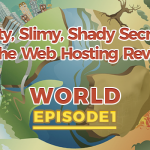 They are THE worst hosting service EVER. The first thing you need to do is make sure you have backups turned on. As bizarre as it sounds, Pantheon does not back up your sites by default. We had the default configuration and after a week of development their systems crashed. We lost everything and had to start over. Of course they have documentation in reams of text if you look. And their support people are good at blaming you. My second beef with them is they have an email notification service that is turned off to inform you of future “scheduled” outages. But once again it is your fault if you did not find it in the mounds of worthless documentation. For Pantheon security is number 1. What that means is they decide when an issue is important and they decide when to take down ALL sites simultaneously. They MAY give you 24 hours notice that THEY decided you will be out of business and how for how long. We learned about this “feature” when our site magically was not available, the night before go live. We had plenty of time in the original plan, but having to start over wasted our contingency. Our account is at the Corporate level. We will be scaling up to Pantheon’s equivalent to enterprise level, but not with them. If you have a mission critical app, need to have things done quickly, expect a partner who understands hosting, or who cares about your site, go anywhere else. Pantheon is a disaster. They take no responsibility for their stupid rules. Hide behind volumes of CYA documentation. How do those things make them the worst ‘ever’, Jim? Your massive exaggeration doesn’t help anyone. I agree with Dave on Jim’s comment. @Jim — your comment was obviously meant as a way to vent your frustrations but you provided no real evidence at all for why someone should steer clear of Pantheon. Furthermore, both issues are VERY easily remedied and it sounds like you didn’t do your own work and are now blaming Pantheon for your own lack of effort. Shame on you. I’ve been using Pantheon for all of my client sites for over a year and, as this article proved, they are indeed THE VERY BEST option for either Drupal or WordPress. You can always get something more expensive and have similar results as Pantheon but…why would you? I have to agree with Sean I have been using pantheon great amount of time considering their age. Excellent. He is the only word I have to describe them. I’m sorry if you are a large corporation that does not have the capability to understand who software you are buying honestly you should make backups on any hosting companies most impact do not give you a back up that’s 100% on your IT department. Amphion is one of the best host if not the very best on the market. There an event they offer a lot of money fast so much better than many of the other same old same old hosting. It’s a shame that the lack understanding by your TechTeam kept you from utilizing some of the best money can buy. Hope you get this message. I am suffering similar fate at pantheon and looking for a more responsible host. Who did you end up going with? Pantheon has the worst support and defaults I have seen. We are forced to go with by someone who was let go for obvious reasons. But, I finf Pantheon to be in dark ages with ease of use and support. Sites can go down for hours and their support would respond with cryptic one liners. Pls send me an email with who you went with. I’m seeing sub 100 ms server load time on 15 sites. Running from $25 , $100, $400 & elite at $2,000 they run faster with Redis at $100 but I think you could be confusing server load time and full page rendering load time. You said from a server in your state so you’re using something like Pingdom or New Relic Synthetic to get your full page load time. 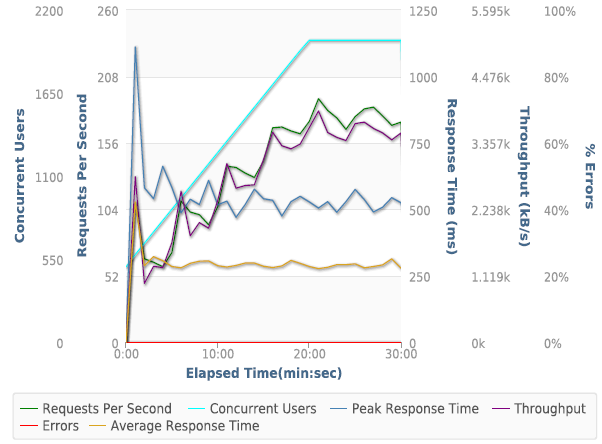 To look at your servers speed go to New Relic APM it will show your server speed & where you can make your site faster. You are mad you’re site load time is 1.9 Second’s? Because you need to understand Anything below 2 seconds is a fast site. 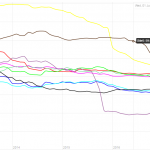 vs what was your old site load time as most sites can’t do 1.9 sec. You also need to understand that you’re sites code can and will play a large part in site speed. You have New Relic a $400 tool that will show you what is slowing down your site. Can you look and confirm that you are running I cannot promise anything but I can try and help you.